As well as the ten storey stone pagoda, the only other piece of Wongaksa temple remaining today is the monument that was built to commemorate the dedication of the temple. The actual temple opened in 1465, and the monument was erected in 1471. 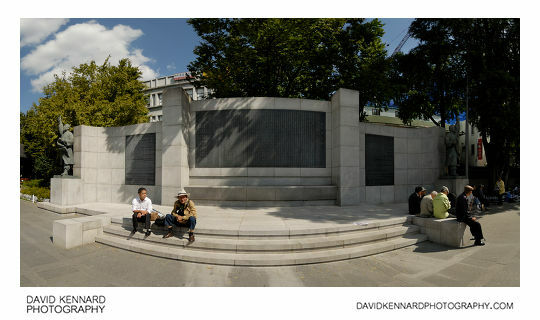 The monument has a structure surrounding it to protect it, like the ten storey pagoda. Unlike the pagoda's protective structure though, the monument is covered by a traditional wooden building. The building doesn't have any glass, making it much easier to see and photograph the monument. I don't think they could really have used a traditional looking structure to protect the pagoda though due to its height. 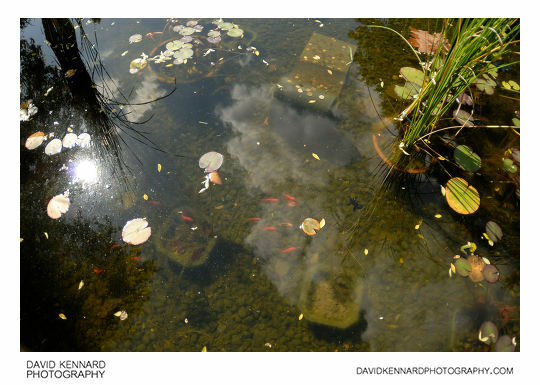 The park also contains a small pond with some fish in it. This in an Independence monument in the park, to commemorate the Korean Independence Movement during the Japanese occupation of Korea. You can see here some of the men that seem to populate Tapgol park. I think many retired men come here to chat to their friends and enjoy the park. 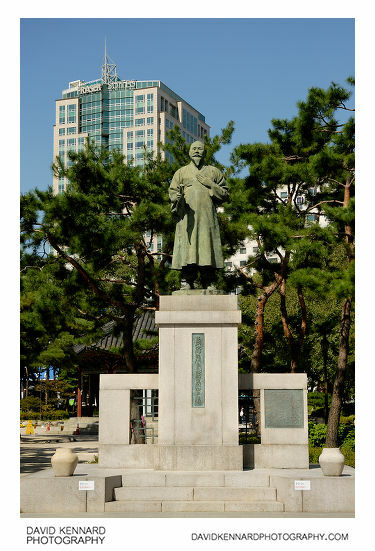 Near the Independence monument is a statue of Son Byeong-Hui, a religious leader and Independence activist who went by the pen name "Uiam". 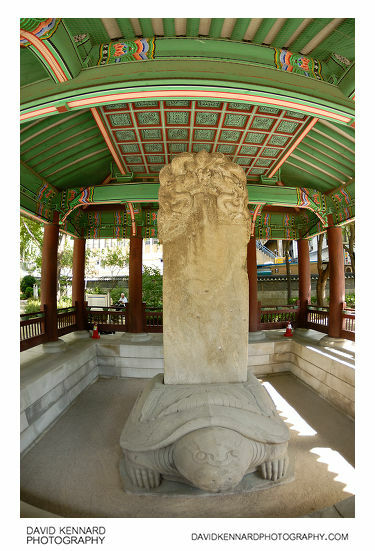 He was a leader of the Donghak (Eastern Learning) and later Cheondogyo (Religion of Heavenly Way) Korean religions. 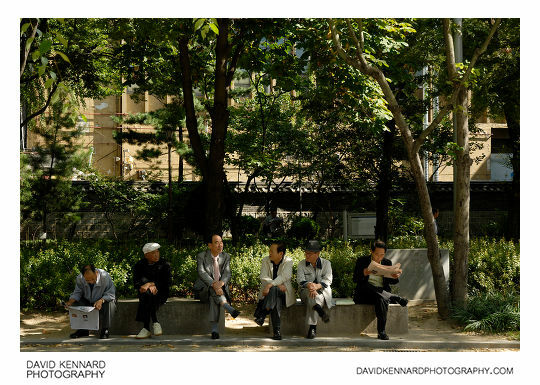 In a shaded area of the park I spotted this nice scene of men talking and reading the paper. The arrangement is symmetrical in some aspects - man with newspaper on each end, then a man wearing a hat, and then a man without a hat in the center. Again though, this photo has some problem with the autofocus of the camera / lens back focusing - the background behind the men is more in focus than the men.